It's almost here, though IT HAS BEGUN! for some gamers already..
Mortal Kombat X is no doubt the biggest and most anticipated Mortal Kombat in history. With prequel comics teasing new characters & story, regular Kombat Kasts showcasing new details every now & then, the hype levels for me as a Mortal Kombat fan is extreme! I'm pathetic at fighting games, including Mortal Kombat, but apart from the fatalities, it's the lore that drags me into this. And thankfully, MKX has gotten deep into the lore, with the comics, and based on what I have seen so far, a more lore-filled story mode. The comics have also helped to fill in on the characters' backstory. As mentioned before, I'm hoping this effort will be appreciated by the fans and we can get a full-blown series, similar to the Injustice ones. The gameplay looks a lot more fluid, compared to previous games and there has been hints of the game being easier for less-pro fighting game players.. Heh.. I'll have to see about that. The character variations have also been talked about a lot. Whether it's a good or bad thing, I'll have to play to decide. Splitting up different styles might make a character feel not so complete, but at the same time, it might suit to my fighting style. Character skins are plentiful. From absolutely cool designs to weird decisions, there are plenty to choose from unlike previous games. Gotta be ready for paid Skin Pack DLCs though.. Some of the skins are fan-made so that's fantastic stuff for the fans! Some of the designs make me go, "WTF!" in 2 different ways.. The new characters are refreshing. Some of them haven't stood out yet, but they feel like they bring something new to the game, as compared to some of the MK4 characters than fans were calling out for. That said, a lot of Klassic characters that I so badly wanted, didn't make the cut. MK9 did very well in giving a lot more variation to the Ninjas. 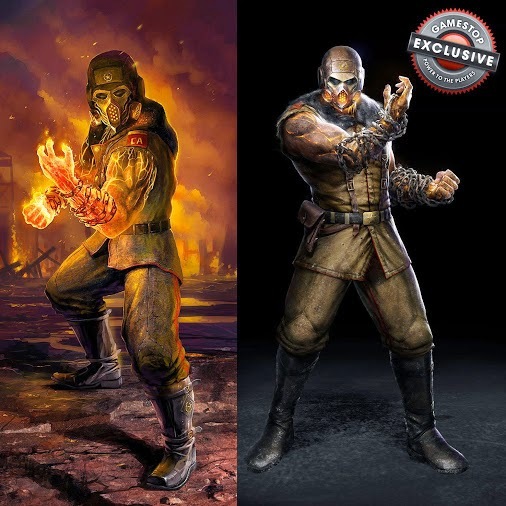 While once, the ninjas were all palette-changes, MK9 had very unique designs for each of them, and gave them more character. That good-job hasn't been brought forward to MKX. Noob Saibot, Smoke, Rain are all missing from the roster. And then where are the Cyborgs? There's hints in the comic about the fate of the Lin Kuei Cyborgs but I wasn't expecting them not to make the roster. There's plenty of characters who will have a cameo in the game who aren't playable either. Fujin, is a notable absentee. 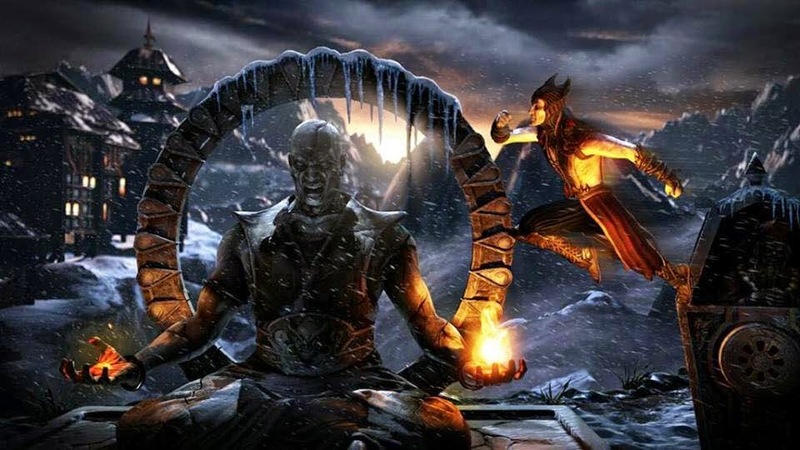 I'm not entirely disappointed though.. Quan Chi & Shinnok are playable! One of my new favourites, Ermac is back.. looking a lot more meaner. Reptile looks badass as well. Playable Goro was a surprise when it was first announced months back. Kotal Kahn looks really cool and Erron Black's gameplay has won me over. Kung Jin & Takeda are my favourites from the new generation of Earthrealm warriors but I'm a bit worried about their styles being too similar to their predecessors. All in all, I'm a bit skeptical about a few things but I'm mostly very, very excited about MKX. It's gonna be huge and it has been 1 of my favourite franchise for years. Thankfully, it's definitely getting the recognition it deserves. It's going to be a Fatality-filled weeks to come..
Now, where's that combo list that I'll need to practise a 1000 times before I get it right..